POLICE are remaining tight-lipped over a series of armed raids that took place across the district last weekend. Pictures and details emerged on social media over the weekend of what appeared to be armed police in Batley and Dewsbury. It is thought the pre-planned operation started at 6am last Saturday with a police briefing at Dewsbury Police Station. Specialist Firearms Officers’ vehicles were seen parked on double yellow lines at the rear of the police station on Saturday morning before moving off in convoy. 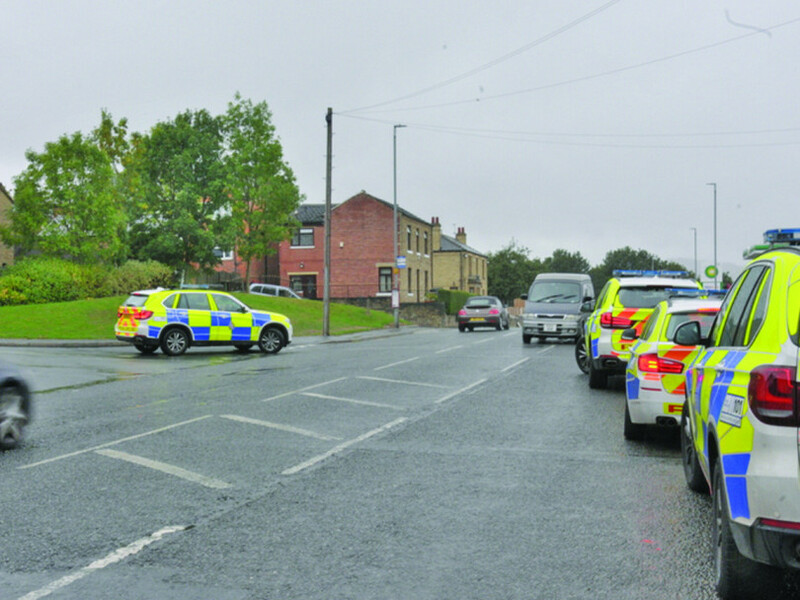 Officers were seen at Upper Road in Batley and Conway Crescent in Dewsbury, while there were reports police had sealed off Purlwell Avenue. At around 1pm on Saturday police were also involved in a raid on Savile Road, Savile Town. Photos showed four police vehicles, three of which were BMW X5 4x4s typically used by armed officers. Dog units were also believed to be involved in the operation. Police activity was still visible on Tuesday, with two cordons still in place at a property on Wilson Wood Street, Batley Carr, and a house in Savile Town. Three police cars and a police van were spotted near Heaton Avenue Primary School in Cleckheaton, also on Saturday afternoon. It’s not yet clear whether any of the police operations are linked, but they are not thought to be terror-related. One source told The Press that the raids could be linked to an alleged kidnapping and an incident on Eyre Street in Batley last Thursday.